The announcement that Mark Webber will race for the KL Minardi Asiatech team in this year's FIA World Formula One Championship marks the culmination of six years hard work by the 25-year old from Queanbeyan, New South Wales. Webber becomes the first Australian since David Brabham (in 1994) to race in Formula One and he will make his grand prix debut in front of his home crowd at Melbourne's Albert Park circuit in the Foster's Australian Formula One Grand Prix on March 1-3. In fact, Webber is the first driver in recent history to make his F1 debut in his home grand prix, and on a track he won on in 1996 at the inaugural Melbourne Australian F1 Grand Prix when he competed in a Formula Brabham (nee Holden) race. Webber had just turned 18 years old when he left Australia at the end of 1995 after competing in karting and the Australian Formula Ford championship. An impressive international debut which saw him finish third in the 1995 Formula Ford Festival at Brands Hatch in England, prompted the famous Van Diemen Formula Ford team (which had run Ayrton Senna and Eddie Irvine in their formative years) to sign him for the 1996 British Championship. 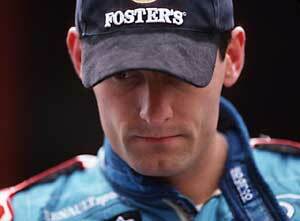 Webber finished runner-up in that series and scored a crushing victory at the 1996 Formula Ford Festival. "When I started out in karting and even when I moved to Formula Ford in 1994, I didn't have a career plan mapped out," says Mark. "I loved grand prix racing and would sit up all night to watch the races and always thought how cool it would be to race a F1 car one day But, I really didn't know what to do about it! "But in 1994, I met Ann Neal who had worked with Johnny Herbert, Adrian Fernandez and a lot of other British-based drivers. She prepared a sponsorship proposal for me and secured Yellow Pages, a subsidiary of Telstra, as my major sponsor for my 1995 Formula Ford season in Australia. The proposal contained a seven year career plan which Yellow Pages were really, really supportive of and wanted to be a part of for as long as possible, even though it was destined to take me overseas." Following success in British Formula Ford, Webber graduated to the British Formula 3 Championship in 1997 with a team run by fellow Australian Alan Docking. He finished fourth in the series despite struggling to find the necessary budget and was almost forced to quit mid-season when his funding ran out. However, fellow Queanbeyanite and former Wallabies rugby union legend, David Campese, came to the rescue and personally financed Webber's next few races which continued to yield good results. Before long, his strong performances in the British series and international F3 events had attracted the attention of Mercedes boss, Norbert Haug, who invited Webber to test for the Mercedes AMG sportscar team. The test was a huge success and Webber signed with the team to compete in the 1998 FIA GT Championship, partnering former F1 driver Bernd Schneider. Under Mercedes' guidance, Webber matured quickly and revelled in working with a major manufacturer in a racing environment at the age of just 20. "Sportscars hadn't been part of our plan but the chance to hook up with a major manufacturer was irresistible. I realized it could teach me an awful lot which would be useful for later in my career," he commented. The 1998 season was a memorable one, with a huge test program and 10-round championship which took Webber to the States, Japan and Europe. The Webber/Schneider combination took five wins but were pipped to the title by team-mates, Klaus Ludwig and Ricardo Zonta. Webber was promoted to his own car in 1999 but his love of sportscars came to a premature end when he was involved in two spectacular, high-speed accidents at the 1999 Le Mans 24 Hour Race. An apparent aerodynamic fault with the design of the Mercedes caused the cars of Webber and team-mate Peter Dumbreck to somersault, leaving Mercedes to withdraw its remaining car from the race and the curtailment of its 1999 sportscar campaign. "It was a sad way to end things with Mercedes because I thoroughly enjoyed being with them and it's good that I still have a great relationship with the boys at the team. What happened at Le Mans was pretty awful at the time but I always believed it was fate and that it was meant to happen for a reason." Indeed, although sidelined for the remainder of 1999 Webber was determined to get his single-seater career back on track for the following season. He began working towards a drive in the international Formula 3000 championship with Paul Stoddart's new European Formula Racing team after being introduced to Paul by F1 team boss, Eddie Jordan. In 2000, Foster's joined Yellow Pages as a personal sponsor as Webber contested the FIA International F3000 Championship. He took the EFR team to new highs, with victory in round two of the series at Silverstone to take an unexpected early lead in the championship. Ultimately, he ended the season third overall in the drivers' championship behind two third term drivers, Bruno Junqueira and Nicolas Minassian, and was the highest placed rookie. His results earned him the interest of the Benetton PlayLife Formula One team and in September 2000 he completed a successful three day test for the team at Estoril (Portugal). This led to the team signing Webber on a long-term contract, and for the 2001 season he was contracted by Benetton to race for Super Nova Racing in Formula 3000, as well as being the official test and reserve driver for the Benetton Renault F1 team. In 2001, Webber scored wins at Imola, Monaco and Magny Cours and finished runner-up in the F3000 series while, in between races, he tested extensively for the Benetton Renault F1 team and contributed towards the team's end-of-season performance boost. Webber has now completed the long haul to Formula 1 and believes the experience he's gained over the years will stand him in good stead. "It's been an brilliant apprenticeship and I'm looking forward to using it to my advantage now that the real work is just beginning," he says. "It has been quite a long road but like any sportsman, you have your peaks and troughs when trying to reach the absolute pinnacle of your chosen sport. Ever since I started driving F1 cars, I've felt extremely comfortable and at home in them and now to finally have what I've been busting for - my own drive for a full season - and not a test drive - is a great relief for me personally. He continued, "there's no question that it's going to be tough for me this season, having competed right at the sharp end in every championship I've raced in since coming to Europe. But, like any Australian, I love a challenge and the work really begins now. I want to help Minardi get the best results possible and as a small team we're going to work hard together to try and ruffle a few feathers during the season. "The route from Australian bush to Formula 1 is a bit different and the effort to get here hasn't been all my own doing. I've had a tremendous amount of assistance and help along the way and even advice on who to steer clear of! Making it to Formula 1 is a very tough game and you find out so much about it along the way."